Many pro-TNR advocates came to today’s hearing at the Commissioner’s office. The numbers in this article speak for themselves: TNR works. There are less free-roaming cats outside ever since the Managed Care of Feral Cats Ordinance was passed in 2007.
at a cost of $1.5 million — all of it privately funded, without any government contributions. I’m happy to have added to those numbers, and I know it’s working because more and more people are helping the community cats with TNR. 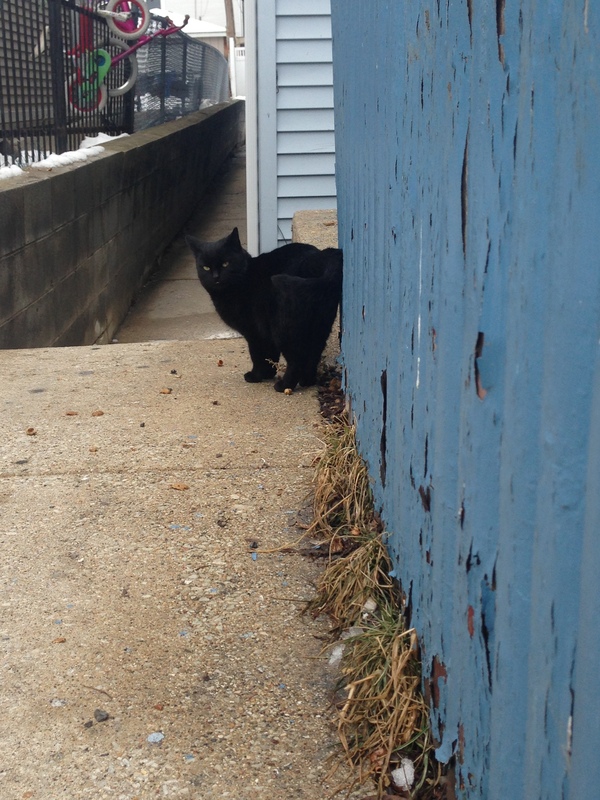 Just last week I saw a “new” black cat up the street from me. Only he was not “new”, because he was already ear tipped by someone else! I’ll have to figure out what’s going on over here later. But we still have a lot of work to do. Let’s get trapping!